Unless you've been living under a rock, you probably have heard, seen and drooled over the new ColourPop collaboration with Kathleen Lights. This collection contained not only a 12 shade eyeshadow palette, but also three unique lip products. All of which are so stunning there are no words. As soon as I knew this was coming out I waited for ages to get my hands on it when it was released on the ColourPop website. I live in the UK so it took forever for this palette to come - 30 days to be exact which is late even for normal ColourPop shipping standards. The collection cost $34 in total and then I had to pay a £23 customs charge on top of that. ColourPop prices are crazy. They are amazingly affordable and really great to work with, especially if you're new to makeup. You can't really go wrong. I've been playing around with this palette since it arrived. My first creation was this gorgeous golden look which I absolutely loved. You can watch my makeup tutorial here. I like natural shades as they are so easy to work with. 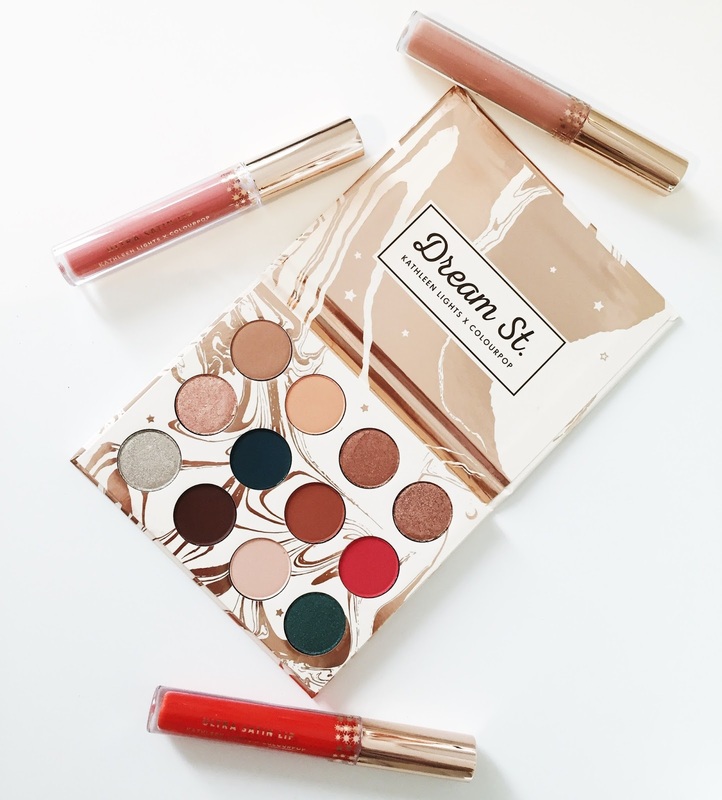 What's great about this palette is that there are so many diverse shades both natural and more daring and you can create so many looks with them. The eye shadows are really easy to work with. They blend out nicely and they are very pigmented. Some shadows don't show up well on my skin tone - the lighter shadows - but I think if you have a lighter or darker complexion to mine they will be beautiful on you. Overall, it's a great palette. There is a little fall out when using the shades which you get with most palettes. The pans are quite small but the overall price is unbeatable so you really do get what you pay for. I will do a separate review on the liquid lipsticks but they are stunning colours which compliment the palette as well. Definitely recommended if you can get your hands on it. I cannot wait to share more looks with you.